In a step towards opening up its vast coastal waters to more tourism development, China has auctioned off a right-of-use certificate to a private corporation for an untouched island in Zhejiang. Set along the placid waters of the East China Sea, China’s southeastern province of Zhejiang has become a national tourism hotspot, and with its epic historic temples, sophisticated cities and beautiful coast, is starting to gain international acclaim. In an effort to further promote tourism development in this bustling region, in April of 2011 the government of China issued a list of 176 uninhabited islands that would be available to both Chinese and international corporations for projects. Now, the first of these islands has been successfully auctioned off to a local development firm. In China, all land is technically owned by the state, so right-of-use is the commonplace way to acquire land for development. In the case of the company with the winning bid, Ningbo Gaobao Investment Co. Ltd, their offer of 20 million yuan (approximately US $3.2 million) won them a 50-year contract for Dayangyu Island, a more than 63-acre uninhabited isle. According to a report in the China Daily, Hu Zhaohui, the head of the island management program for the State Oceanic Administration, said that the auction was a good start for the development of China’s underutilized coastal islands. As reported in the local media, the auction itself was an unusual and exciting event for local real estate companies. Held in the city of Ningbo at the Huacheng Auction House, the seats were full as a number of different groups bid for the island, turning the auction into a three-way battle between competing development firms. Dayangyu Island was offered with a reserve price of 15 million yuan, which was justified by Jin Tengyong of the Ocean and Fisheries Bureau. “Located between urban areas and scenic attractions, Dayangyu is one of the islands with relatively good resources,” he said before the bidding started. Yang Weihua, general manager of winning bidder Ningbo Gaobao, was excited at the possibilities that island development offered for her company. “I think 20 million yuan is a reasonable price,” she said. 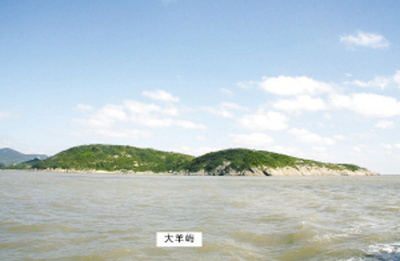 “It has rich natural resources, especially in vegetation and seafood, and it’s a great spot for sailing on the big, blue sea.” The company intends to turn the island into a recreational center focussed on yachting, and she said that Ningbo Gaobao will be making a substantial investment of about 500 million yuan into developing the island. Under the terms of the lease, the project will need to conform to strict environmental guidelines – attempting to keep the leased islands close to a natural state, the government has reportedly turned away offers for industrial development. Zhejiang still has 175 islands left to lease, and more uninhabited islands will be up for bid soon, ready to be transformed into island resorts, yacht clubs, and other destinations designed to lure vacationers to this beautiful and culture-rich region. After they were unable to lease the first tranche of 10 islands since the announcement was made in April, both government officials and the auctioneers were reportedly concerned about the prospect of serious bidders showing up for the auction. 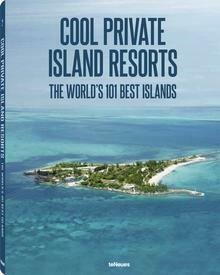 After this undeniable success,however, a new era of private island development in China is off to an excellent start.